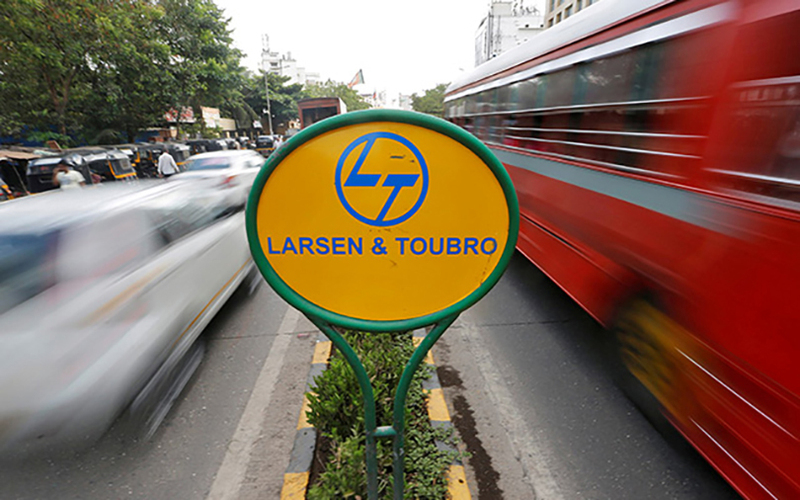 The government on Wednesday raised about Rs 4,158 crore ($643 million) by selling an about 2.6% stake in engineering giant Larsen & Toubro Ltd as part of measures to meet its disinvestment target for 2017-18. The government, through Specified Undertakings of the Unit Trust of India (SUUTI), sold almost 2.38 crore shares via four block deals at an average price of Rs 1,751.15 apiece, stock-exchange data showed. State Bank of India and state-run Life Insurance Corporation of India bought the bulk of the shares. SUUTI, part of the erstwhile state-run investment firm UTI, held a 6.68% stake in L&T at the end of March. Its stake will drop to roughly 4.1% after the sale. SUUTI came into existence in February 2003 after the government split the erstwhile Unit Trust of India into UTI Trustee Company Pvt. Ltd and SUUTI. In March 2012, the government approved a proposal to wind up SUUTI. A new firm, National Financial Holdings Company Ltd, was registered in June 2012 and it was decided to transfer all assets and liabilities of SUUTI into the new entity. The decision was, however, reversed a year later to allow SUUTI to monetise its holdings. Besides L&T, SUUTI also holds a stake in Axis Bank Ltd—India’s third-largest private-sector lender—and ITC Ltd, the biggest cigarette maker. In February this year, SUUTI had sold a 2% stake in ITC for Rs 6,690 crore. In November last year, SUUTI had sold a small stake in Larsen for Rs 3,096 crore. The government aims to raise Rs 72,500 crore via disinvestment in the current financial year as part of measures to contain its fiscal deficit at 3.2% of gross domestic product. Including L&T, it has so far raised Rs 6,558 crore, part of which came from the initial public offering of Housing and Urban Development Corporation Ltd. The Department of Investment and Public Asset Management, which handles the government’s disinvestment initiatives, has floated requests for proposal for a stake sale in hydropower firm NHPC Ltd, Power Finance Corporation, Rural Electrification Corporation and lignite miner NLC India Ltd. The government last month picked merchant bankers to arrange a stake sale in Indian Oil Corporation to raise about Rs 6,500 crore. In April, the Cabinet approved sale of shares in 12 state-run companies through public offerings. These include Indian Railway Finance Corp, Indian Railway Catering and Tourism Corporation Ltd and Ircon International as well as state-owned insurers National India Assurance and General Insurance Corp of India.